Today, more jobs than ever before require some level of college education. To keep pace with growing workforce demands and remain globally competitive, the United States must produce more skilled and educated workers with associate, bachelor’s and graduate degrees or certificates. Getting a good job after graduation is the no. 1 reason students go to college, according to a UCLA survey. Fortunately, these expectations are met, as higher education tends to pay off in the job market. The numbers show employees who have a certificate or degree can earn significantly more over their careers than those who have a high school diploma or less. As a society, we need to work together to help students who complete a higher education credential understand their value to the workforce. One way that Texas is contributing is through its 60x30TX strategic plan for higher education. The plan’s marketable skills goal specifically outlines the importance of students’ being able to communicate the talents and skills they gained in college that will make them valuable members of the workforce. Employers often talk about a skills gap between workplace needs and college graduates’ capabilities. However, this is often an awareness gap that can be addressed through better communication. Students, of course, gain knowledge and training in college but don’t necessarily know how to market their higher education experiences well enough to attract employers’ attention and gain an interview for much-sought-after jobs. soft skills, such as time management or work ethic. Graduates from the liberal arts and humanities are especially good at these kinds of “soft skills,” but may not realize the value in the workplace. To help students better understand their value to the workforce, higher education institutions must do a better job of outlining the marketable skills that students acquire in college programs. In Texas, the 60x30TX plan requires public higher education institutions to formally identify those skills for each of their degree programs, working together with local and regional businesses and other workforce-related stakeholders. Additionally under the plan, college career services counselors help evaluate job postings to identify current marketable skills sought by employers. communicate these skills to students so that they can build resumes that specifically address job openings. Helping students understand and communicate their marketable skills enhances higher education’s ability to produce well-rounded and well-informed individuals with a strong collective understanding of civic responsibilities. In addition, students must be proactive, utilizing resources such as a career readiness handbook, career services opportunities and other tools that help them convey the usefulness of job-related skills learned in college. Working together we can solve the awareness gap about marketable skills. By knowing their value to the workforce, college graduates can make an excellent start toward a productive and meaningful life in the competitive job market. 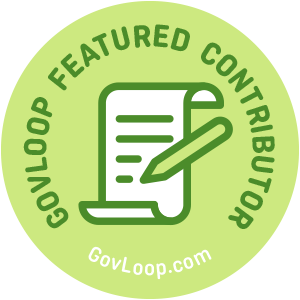 Kelly Carper Polden is a GovLoop Featured Contributor. She is the assistant director of external relations, responsible for state agency communications and media relations, for the Texas Higher Education Coordinating Board. 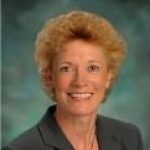 She has more than 25 years of experience as an award-winning, strategic communication professional with extensive experience in media and public relations, C-suite communications, global events management, brand/corporate image management, and strategic and crisis communication management. You can read her posts here. As a college student, it’s difficult to pinpoint whether I want to be an expert in hard skills, like programming, that seem vital to the future workforce, or follow what I’m naturally more inclined to do, like writing and analyzing material, and potentially lower my career readiness. Is there an ideal major that you would recommend to college students? And which hard and/or soft skills are absolutely essential to master, regardless of major? Ms. Shibu, thank you for your comments. The intent of Texas’ marketable skills goal is to enable students to articulate the skills learned in their college programs, and is specifically designed to assist liberal arts students to market themselves to potential employers. We want students to pursue their desired major, but seek to supplement it with coursework (minors, certifications, etc.) that will make them a more balanced job candidate. The ability to write well and to thoroughly analyze an issue are skills sought by many employers.